Top Row, left to right: Helen Liene Dreifelds, Walter Segers, Maren Boedeker, and Raoul Olou. Interested in the Akin Studio Program? 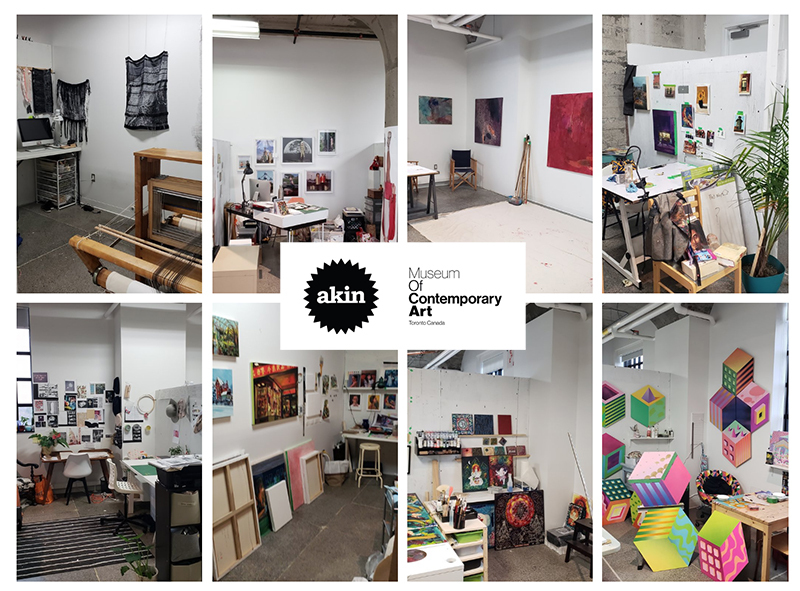 Akin invites you to an Open Studio at the Akin Studio Program on Floor 4 of the Museum of Contemporary Art Toronto Canada. Come and visit over 30 different artist studios and find out more about Akin, the Studio Program, and how to apply for Year 2. There will be a short panel Question and Answer period at 2pm. If you are interested in applying to the Studio Program this is the ideal time to ask questions and have them answered by Akin staff and Akin artist or two from the 2018 - 2019 Studio Program cohort. MOCA Toronto is a fully physically accessible venue. If you have additional accessibility needs please contact michael@akincollective.com by January 19, 2019 and we will do our best to accomodate you.